Apple Plans To Integrate IOS 7 Into Cars. Approximately 90 percent of new motor vehicles sold in the United States today already have an option for an iPod connection; but according to recent news, this feature will soon be amplified twofold. 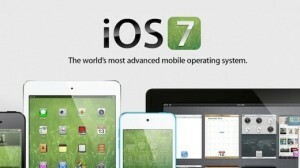 According to a report from 9 to 5 Mac, Apple is planning on integrating iOS 7 applications into car consoles. Among those apps, Siri and Apple Maps seem to be the focal point of Apple’s car infotainment systems. Eleven months ago, Apple implemented their “Siri Eyes Free” application into the Chevy Spark and Sonic via the Chevy MyLink system. Using Siri’s voice control, “Siri Eyes Free” allows the driver to receive and send text messages, make phone calls, access their calendar, and play music on iTunes, hands free, on the go. Siri will also enable drivers to utilize their car’s built-in display by only using their voice. Located on the steering wheel, a small button will give drivers complete control of the car’s voice-activation features. Instead of looking at your phone, fumbling around with the radio, or manually inputting directions into your navigation system, users can stay safe and keep their eyes on the road by giving Siri verbal instructions. Of these, Mercedes-Benz was the first to integrate this feature into its new 2013 A-class supermini. BMW plans to be the first to integrate Siri on the steering wheel across its entire vehicle line with completion forecasted for 2014. There are plenty of advantages of having the user’s iPhone synced to the built-in display. Not only is the driver hands free, but this software has the potential to save the user money. Instead of paying a couple thousand dollars to have a navigation system built into your vehicle, you can now utilize Apple’s Maps on your device. Although this is a plus, be mindful that you are still responsible for data fees. In addition, data coverage is not always consistent and that can impact data speed. Also, the new software will display your device’s screen onto the larger built-in display in your vehicle. In result, you’ll have an unobstructed view from the absence of a mounted device on your dashboard. With that being said, Apple still has a long way to go; their Maps application needs significant attention and improvements. The flaws include, but are not limited to, incorrect labels, wrong directions and outdated roads. But judging from the recent job listings, Apple is hoping to fix that. Applicants are required to be skilled in iOS integration with car audio via Bluetooth. All in all, mobile integration in cars will be here before you know it and it is a feature that has the possibility of attracting all other Smartphone platforms. The Samsung Galaxy S’ S-Voice appears to be the next smartphone to be supported and it also looks like BMW will be the first car maker to integrate it into its line along with Siri by 2014. Andrew works for a computer and IT Training company based out of Columbia, MD named Phoenix TS.